We work with experts in conservation to run projects to improve the environment and open it up to our communities. We are delighted to have developed highly successful working partnerships with a number of organisations. 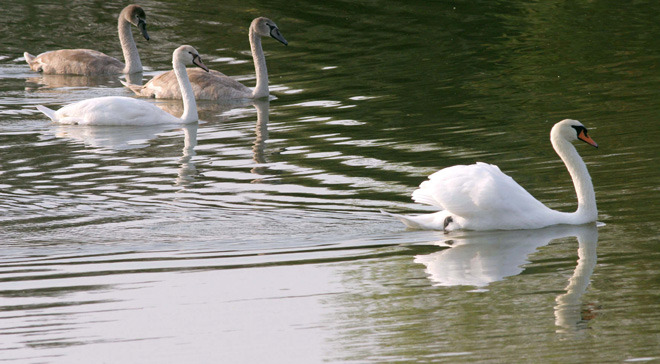 Our Testwood Lakes reservoir site, near Southampton, is managed by the Hampshire and Isle of Wight Wildlife Trust as a haven for birds and wildlife. It is a successful site for breeding birds, butterfly, dragonfly and damselfly species, reptiles and otters. The woodlands, hedgerows, grasslands, lakes and ponds are managed in a 10-year High Level Stewardship agreement with Natural England. Hundreds of volunteers give time to support education and conservation at Testwood Lakes each year, including controlling invasive species and maintaining ponds. At our Weir Wood reservoir, in Sussex, we manage a conservation area in partnership with the Friends of Weir Wood volunteers. We also partner with Sussex Wildlife Trust and Kent Wildlife Trust on projects and sponsor Kent Coastal Week during which children learn about marine coastal wildlife. We have also supported Worthing Sub Aqua Club to research marine wildlife off our coastline as part of the Marine Conservation Zone project. Conservation work is a key part of our business as the environment is at the heart of our work to supply and safely recycle water. We work with environmentalists to deliver ecologically sound and wildlife-friendly improvements. When we are carrying out construction work, we carry out environmental surveys to ensure we monitor and protect wildlife in the area. To alert our staff and contractors to environmental concerns, we run campaigns to raise awareness of animals and plants, such as grass snakes and newts, which need to be handled carefully when found on sites. We have planted 1,400 trees, including rare black poplars and willow at Tunbridge Wells South Wastewater Treatment Works, to improve biodiversity. We have drawn up a catalogue of company sites where rare Bee Orchids grow and adapted our maintenance plans to accommodate the flowers. We have installed raptor nest boxes at our water supply works and wastewater treatment works to encourage owls and kestrels to set up home. We have built artificial otter holts on the banks of rivers to help grow local otter populations.